it would be nice to have more than just “V” to get back to the selection tools when working with text, since it’s all to easy to add that letter to a selected text if you’ve forgotten to click out of it. InDesign’s “esc” is very useful in that regard. 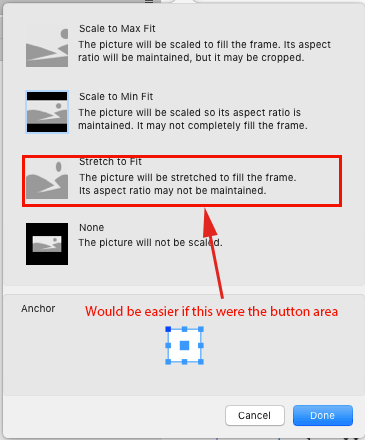 the frame properties panel “button” for each selection would be more useful if it included that text portion as well. The "esc" trick works for me. Type in a frame, hit "esc" and you've got the text frame tool again, hit "v" and you've got the move tool (pointer). Hadn't occurred to me to try that. I would still prefer to just hit "esc," instead of having to do two steps.